Happy, happy mid-week Dare 2B Artzy fans! I can’t believe that we’re almost half way through this year. Time goes by so quickly, or maybe it’s just that I’m older and the older you are the more quickly time passes. I guess that’s how time works, LOL! The project I’m sharing today is celebrating the old red, white and blue. I’ve been feeling a bit patriotic lately. Not sure if it’s because Independence Day is right around the corner or because it’s a crazy election year or maybe it’s just a summer vibe I’ve got going on. It’s good to celebrate what the red, white and blue represents. For this project I used the groom owl from the Dare 2B Artzy Wedding Owls set and turned him into a patriotic owl. There were a couple of steps in giving him a suit fit for a celebration. First, since the the jacket portion of his little tuxedo is solid black I couldn’t just color it with my Copics. I first stamped him on a white cardstock and fussy cut the tuxedo jacket out – that gave me a pattern to use. I took that pattern and traced it onto the blue cardstock and fussy cut that out to get my final blue tuxedo jacket. You could also use some fun patterned paper for this type of paper piecing. I stamped the owl a final time onto some white cardstock and colored him with my Copics. Once he was colored, I glued his blue tuxedo jacket in place and added some clear Wink of Stella to it to give it some sparkle. I was about to fussy cut the whole owl out again and I remembered at the last second that I had the Owl Die from the Dare 2B Artzy D1 Owl Cupcake die set which works with the groom owl in the Wedding Owls set. Glad I remembered I had that before I fussy cut it-yay! The same die works for many other Dare 2B Artzy owls. You can check out the entire owl collection here – there’s an owl stamp for all seasons & occasions. There’s a coordinating die for both types of owls so lots of options when it comes to selecting a stamp and having a coordinating die that works with it. That’s one of the things that I love about the Dare 2B Artzy line of stamps & dies! You don’t have to buy a bunch of different dies to coordinate with your stamps. There’s generally one die that works for multiple stamps. LOVE IT! My little owl needed a top hat to complete his outfit so I used a top hat die cut that I had and I paper pieced it with some red, white and blue paper to look like Uncle Sam’s top hat. I added some Wink of Stella sparkle to it as well and glued it onto his head on one side. For my background I die cut some of the Dare 2B Artzy papers from the Artzy Doodles paper pack in a red pattern along with some solid card blue cardstock and layered them up. Next, I used the red and white and blue and white striped strips that I cut from the edge of the 12 x 12 Dare 2B Artzy cardstock (yes, I save these – because you never know when you could use it). I glued them in place on my background for a little contrast against the solid white background. To create some more dimension to my card I used some star dies and die cut several different pieces of Dare 2B Artzy cardstock and some shiny foiled papers with the various sized stars. I layered them up in various dimensions on top of my background to sort of represent fireworks. I didn’t have any sentiments for 4th of July so I just created my own by selecting an appropriate font in my computer and creating a “Happy 4th of July” sentiment. I resized it and printed it to some white cardstock and then die cut it and added it to my card. Note, if you’re in need of a special font to create a sentiment, a great resource for fonts can be found at www.dafont.com. Most are free to download for personal use. In the end, my Wedding Owl was transformed into the Grand Marshal at the 4th of July parade. I love, love how this card turned out. Using a little artistic freedom to dress up your stamps and use them in new and different ways really expands your stamp collection. I hope this card inspired you to look at what you can create with the stamps in your collection. 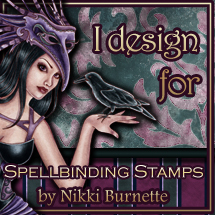 There are lots of stamps in the Dare 2B Artzy store that can be used in many different ways. Hope everyone has a wonderfully crafty week, a happy summer and a wonderful 4th of July Celebration!